Richmond new homes are popular among new home buyers, especially active adults and busy professionals. That’s because these luxury homes are located in communities where everything is taken care of including lawn maintenance, seasonal treatment and aerating, irrigation, exterior painting, gutter cleaning, roof maintenance, snow removal and trash service. And, as if this wasn’t enticing enough, now Boone Homes offers price reductions on two homes at the Villas at Grey Oaks. The first home features the Croftmore B. 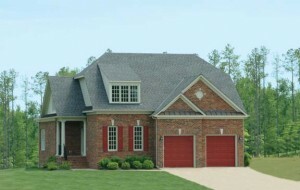 This is a new plan for Boone Homes, and was recently reduced to $534,950 from $586,274. The home includes three bedrooms, 3.5 bathrooms and a spacious 3,093 square feet. The second home is the Highcroft L, and was reduced from $555,324 to $509,950. This home includes three bedrooms, 2.5 bathrooms and 3,040 square feet of living space. Both of these homes boast first-floor studies, formal dining rooms, gourmet kitchens, granite countertops, two-car garages and the added convenience of single-level living with additional bedrooms on the second floor. luxury homes in Richmond enjoy community amenities including a pool, tennis courts and sidewalks, so you never have to go too far for a little fun. However, if you ever want a day or night out on the town, you’ll enjoy living in a trendy Short Pump location with easy access to shopping, dining, entertainment and more.